America’s favorite fast food chain has revealed its most popular item of the past year – and it’s not the Chicken Biscuit, which clocked in at number nine of the top 10 bestselling items. Actually, it’s not chicken, at all. Despite the chain’s cow mascots asking people to “Eat mor chikin,” it seems the restaurant’s most popular menu item are the Waffle Fries. “Our most popular menu item, the waffle fry is arguably the tastiest way to eat a tater. There’s no doubt that the Waffle Fries seem to be the perfect side for just about anything else on the lunch and dinner menu. Cooked with canola oil and sea salt, put simply, they are pure perfection!” Chick-fil-A wrote in a press release. Though the fries took first place, rest assured, chicken did fall on Chick-fil-A’s bestselling items of 2018 – accounting for five of the top ten items. 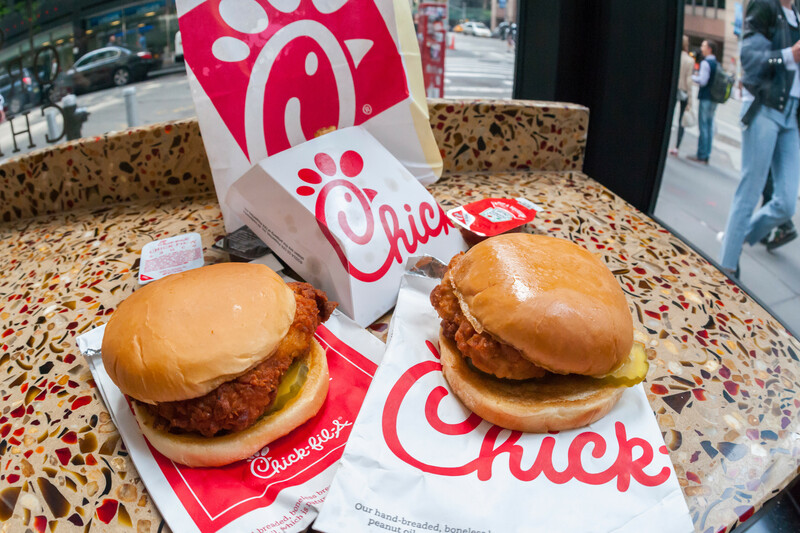 In a list of the most popular items of the last year, according to the company’s press release, the Spicy Deluxe Sandwich came in at 10, Chicken Biscuit was 9, Chick-n-Strips were 8, Chick-fil-A Chicken Sandwich was 4 and Chicken Nuggets made the list as the highest chicken product at 3. The brand’s other potato item, hash browns, made the list at 7, while lemonade came in at 6, iced tea was 5 and soft drinks were the second bestselling item of 2018. It may seem surprising that a fast food chain known for its chicken sold more french fries than poultry – but it isn’t. The brand’s unique waffle fries and dipping sauces have built such a following that several people have created Instagram profiles dedicated to only pictures of the hearty fried spuds. Chick-fil-A is projected to be the third largest fast food chain in the United States in terms of sales, behind only McDonald’s and Starbucks.